Our governance is driven by a commitment to continuous improvement and accountability led by our Board of Directors and managed by our Chief Executive Officer and Executive Team. yourtown is a registered charity under Australian charities legislation and a public company limited by guarantee under corporations law. We maintain quality certifications and our practices align with or exceed industry standards. Certifications include the ISO9001:2015 Quality Management Systems Standard for governance and corporate functions to manage and support services for children, young people and their families. Our Board of Directors meet eight times a year reviewing strategic recommendations, management accounts and detailed reports about our performance. The Board is also informed by the Audit and Risk Management Committee, Strategy Advisory Committee and a Board Advisory Committee that each meet three times a year. Our strategic framework can be accessed here. yourtown Board members are experts in various fields. Together they are responsible for the overall business, management and direction of yourtown. The Board’s most important role is safeguarding the trust that clients, donors, corporate partners and government place in yourtown to create brighter futures for disadvantaged young people. The Board is committed to our Mission and Values and best practice in governance, accountability and transparency. All members are volunteers and receive no remuneration for their service. Gerry is an experienced company director with both listed and unlisted entities. 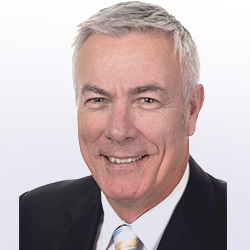 He has over 25 years’ experience as a senior corporate executive with expertise in the financial, strategic, systems/compliance, management and human resources areas of companies in the mining, building and property development industries. Gerry is a past non-executive director of two ASX listed companies, Villa World Limited and CuDeco Limited, and was the General Manager/Chief Financial Officer, Executive Director of Villa World Limited from 2000 to 2005. Gerry is also an advisory board chair of two private companies and is the proprietor of a mentoring consulting business. 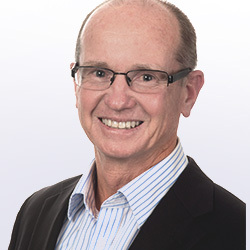 Peter is a business advisor to leading Queensland businesses, specialising in marketing and business strategy, executive coaching and organisational development. He has over 25 years senior executive experience in general management, marketing and sales with leading national companies across a diverse range of industries. Peter has held general management positions in FMCG, utilities and energy industries in both the public and private sector. 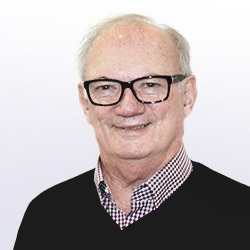 John has had broad executive, senior management and consulting experience spanning over 30 years in the corporate governance, corporate strategy and commercial arenas. His experience has been gained across several sectors in a wide variety of companies. He is currently an executive director of WEPL, a management consultancy. He is a former director of Governance Institute of Australia. Jack has a long association with yourtown having been the General Manager of the BoysTown Lotteries from 1997-1999 and its Chief Executive Officer (CEO) from 2004-2008. Other business appointments have included CEO of the Metropolitan Ambulance Services, CEO of the Port of Melbourne Authority and various executive appointments with Melbourne Water. He has extensive experience in corporate governance, executive management and financial reporting. Margaret has held senior positions in the university, government and non-government sectors and played a critical role in developing and implementing innovative, early intervention and prevention initiatives that promote the health and wellbeing of vulnerable children. She has extensive expertise in strategic policy and research, inclusive governance frameworks, the development of collaborative partnership agreements, and contract negotiation, and the management of multi-site placed-based initiatives for successful implementation of evidence-based programs and innovative models of service delivery. Kristan is a partner of a leading independent Australian law firm with a background in property and corporate advisory. 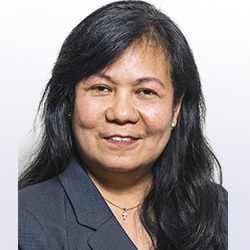 She advises property developers, government and government-owned corporations, major landlords and tenants, listed corporations and private clients in a vast array of transactions. She has presented at a variety of legal conferences in the property and commercial sectors, including the Property Council of Australia. 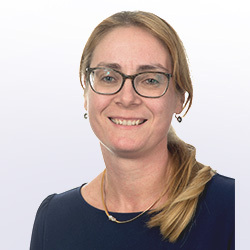 Kristan’s memberships include Queensland Law Society, Australian Institute of Company Directors, Property Council of Australia and Urban Development Institute of Australia. 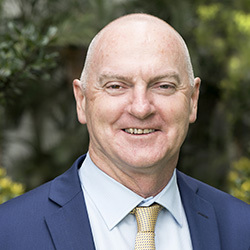 An educator since 1972, Br Ken has been the Principal of the De La Salle College Cronulla (NSW), St Bede’s College Mentone (VIC) and Oakhill College Castle Hill (NSW). He is a Foundation member of the yourtown Board and the Board of St Michael’s College Henley Beach (SA). Loki is an experienced Manager in KPMG, Australia’s market-leading human and social services consulting practice, where he is engaged as a key advisor to governments, not-for-profits and private providers. 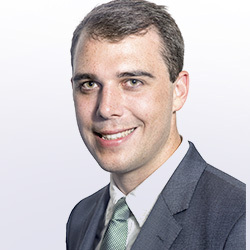 Loki has a strong background in policy and law reform to support vulnerable children, youth and families, and prior to joining KPMG he worked as an advisor for three years to Australia’s National Children’s Commissioner. 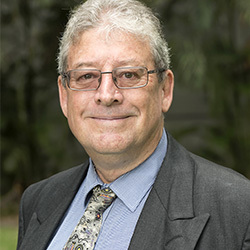 Loki has practical experience in organisational governance, risk management and strategic planning, and is a Member of the Australian Institute of Company Directors. Loki brings a strong analytical approach to problem-solving and policy issues based on his legal training, experience working with the machinery of government, and deep understanding about the issues vulnerable people face. Loki has applied skills in research methods, policy analysis and reviews, stakeholder management and facilitating consultations. Maria is the Manager, Information Security of a leading Australian university. She has over twenty years of IT experience performing strategic roles and delivering programs in the fields of information security, IT strategic planning and enterprise architecture in government, telecommunications and higher education. Maria is a recognised industry expert, frequently being asked to speak globally about IT policies and frameworks, ICT risk management and business continuity management. She has published academic papers and her extensive knowledge is used to deliver IT projects and educate university students about the safe use of online media. 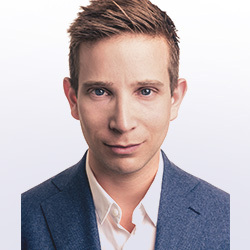 Ben is Director, Digital and Content at communications marketing firm Edelman, leading the Australian office’s team of videographers, designers, UX experts, social curators, paid media specialists, programmers and producers. Previously he was Head of Online at SBS, leading the overall strategy for the SBS online network, including its innovation unit Digital Creative Labs. He was formerly Editor of Good Weekend magazine for the Sydney Morning Herald and The Age; and Editor of national current affairs magazine, The Monthly. He’s been a contributor to the Financial Times, and the collection of his journalism, In Conversation, was published in three languages. He’s served academic fellowships at the Johns Hopkins University and Columbia University, co-edited a book of cultural theory for Duke University Press, and won a Churchill Fellowship to research public service journalism in 2014. The CEO and Executive Team are responsible for the day-to-day management of all yourtown operations. They develop, implement and monitor activities to ensure our work practices embody our organisational values and are transforming young lives and strengthening communities. 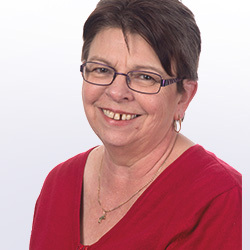 Tracy has more than 27 years’ experience with yourtown and was appointed CEO in 2008. In this role, she is responsible for implementing the organisation’s strategic direction and ensuring its operations are conducted with the highest standards of integrity and accountability. Since being appointed to her current position she has directed significant company growth, including an operating budget increase of more than $40 million, a client increase of more than 100% and a greatly enhanced advocacy platform for those experiencing social exclusion. Tracy has frequently addressed government enquiries into the welfare of Australian youth. Tracy is a graduate of the Harvard Business School General Management Program and a Fellow of the Australian Institute of Management (AIM). 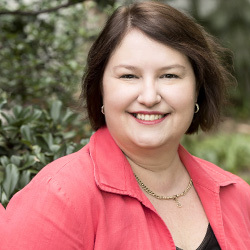 She holds a number of Board positions including Lasallian Mission Council for ANZPPNG, Cannon Hill Anglican College and Tactical Global Management and has been an executive advisor to the Queensland University of Technology (QUT) Executive MBA program for eight years. Geoff joined yourtown in 2007 and leads the finance, property, IT and business systems teams. In 2009, he was also appointed yourtown Company Secretary. 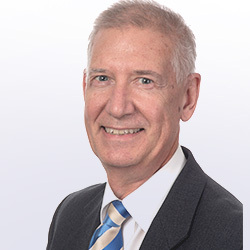 His more than 20 years experience in financial and management accounting spans the commercial, government and not-for-profit sectors in Australia and the United Kingdom. This includes senior roles with international FMCG companies such as the Gillette Group UK, Mars Confectionery and Walkers Snack Foods. Cara joined yourtown in 2008 and leads the People and Culture team to deliver best practice people management, work health and safety, and workplace cultural initiatives. A Certified Professional member of the Australian Human Resources Institute, she has more than 20 years’ experience in both Human Resources and Operational Management positions across a variety of industries within Australia and Asia Pacific. 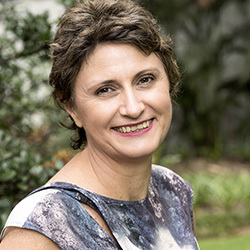 Cara is a Board Director for PeakCare, Queensland’s peak body for child protection. Tracey started at yourtown in 2013. She leads the development and implementation of all brand management and fundraising growth strategies for the organisation including corporate partnerships, donor programs and yourtown luxury Art Unions. 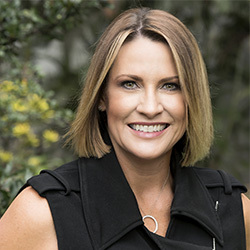 Her more than 20 years in marketing and communications includes roles at Fairfax Media, Mercedes-Benz (Daimler Chrysler), BMW, MINI, Lamborghini and Cartier. Her memberships have included the Gold Coast Motors Events Co Marketing Communications Committee and Brisbane Lions AFL Marketing Communications Committee. She has also worked with the Uniting HealthCare/The Wesley Hospital and Research Institute and McDonalds Australia (Ronald McDonald House Charities). John has been with yourtown since 2000 and leads the advocacy, research and evaluation for the organisation that generates new knowledge about issues impacting young people, and how to effectively respond. He has 11 years’ experience as a practitioner in the areas of child protection and juvenile justice, and 26 years’ experience in executive management within government and the not-for-profit sector. John has led teams providing child protection, juvenile justice, disability, out-of-home care, community funding, and social and economic development programs within Aboriginal and Torres Strait Islander communities. 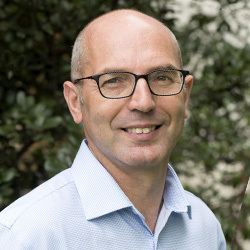 A member of several Boards, he is President of the Foundation for Independence Recreation and Social Training (FIRST) and a member of the Social Impact Measurement Network Australia (SIMNA). John is a Partner Investigator in several research projects funded by the Australian Research Council. Brendan commenced at yourtown in 2003 to help establish our employment, education and training programs and their associated regional delivery network. In 2016, Brendan was appointed as our Head of Client Services, leading the implementation and delivery of integrated client services in line with our organisational strategic framework. 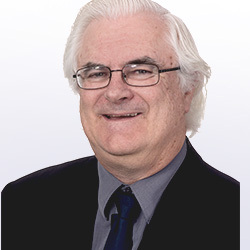 Prior to working with yourtown, Brendan spent five years as a senior manager with a major national recruitment agency following 16 years with the Federal Department of Education, Employment and Workplace Relations (DEEWR) in a variety of operational and senior management positions. Brendan has a Graduate Certificate in Business and extensive experience in the training and employment services industry in the private, public and community sectors.